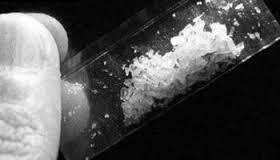 Number #8 Sorsogon Provincial Target listed held with possession of ten plastic sachets of suspected crystal meth. Sorsogon City, [02.01.19] – A male bus driver was arrested this morning by police operatives in Barangay Sawanga, Bacon District, Sorsogon City for violation of Republic Act 9165 through buy-bust, a police report said. According to Police Superintendent Jefferson B. Araojo, Officer-in-Charge, Chief of Police of Sorsogon City Police Station the buy-bust operation was conducted at 6:00 o’ clock this morning in Barangay Sawanga, Bacon District. The arrested suspect was identified as Allan Desuyo Doringo, 48 years old, a bus driver of Barangay Buenavista, Bacon District, Sorsogon City. Ten plastic sachets of a white crystalline substance suspected to be methamphetamine hydrochloride or shabu were confiscated from the possession of Doringo after selling to a poseur buyer. The arrested suspect is listed as Number #8 Sorsogon Provincial Target.